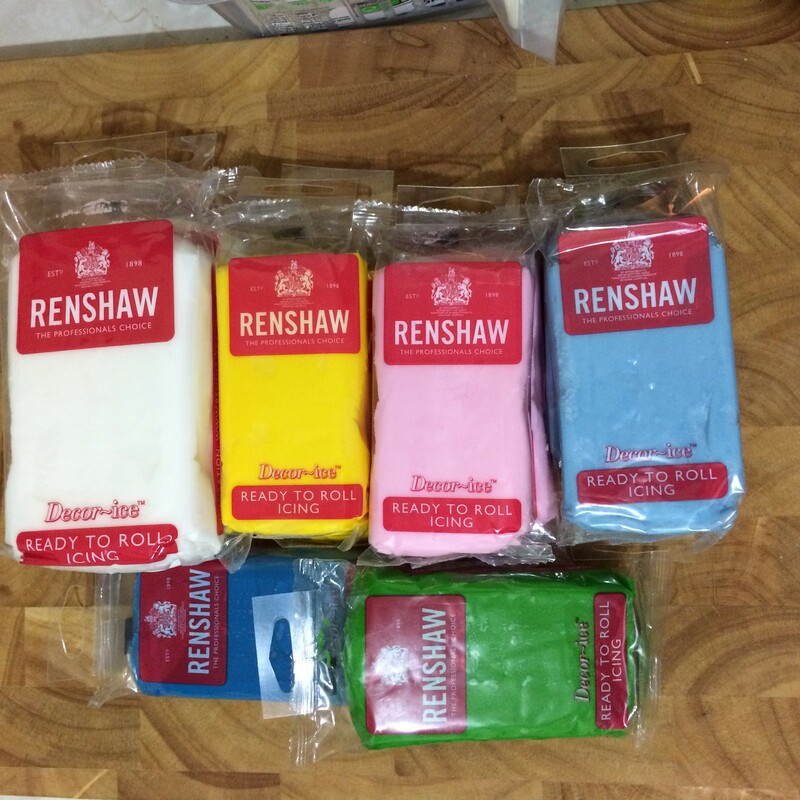 I bought over 3 kilos of fondant icing because I intended to make beach huts for a bake off fundraising do at work. But I think I overestimated my capabilities and my fondant confidence. So instead of wimping out and wasting the fondant that I lugged all the way back to Harwich, I had to think of an alternative way to use the fondant that I purchased. I wasn’t giving up on the cake with fondant dream! Besides, it was my birthday and bringing cake would be for a good cause. So I had a think and regrouped. 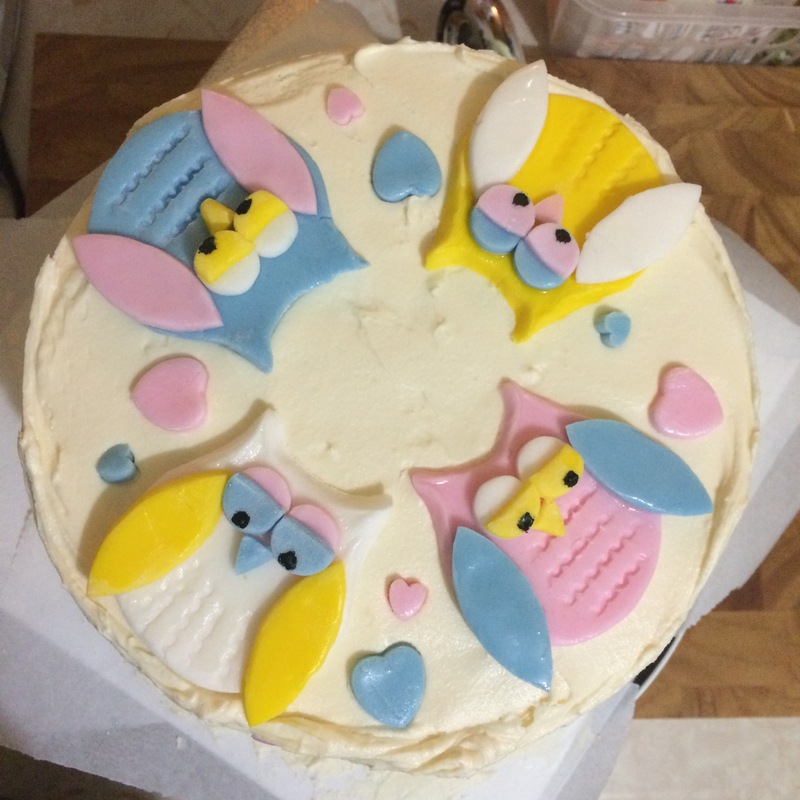 I had a brainwave and thought, “Oooooh owls!” I did a bit of googling and found the easiest way to make owl cake toppers. I knew the cake would be okay (it was a vanilla sponge with a Nutella filling with a vanilla cream frosting), I just had to make it pretty. The owls weren’t too difficult to make. I just needed a round cookie cutter and a smarter way of looking at owls. I must say, what a treasure trove Google can be! 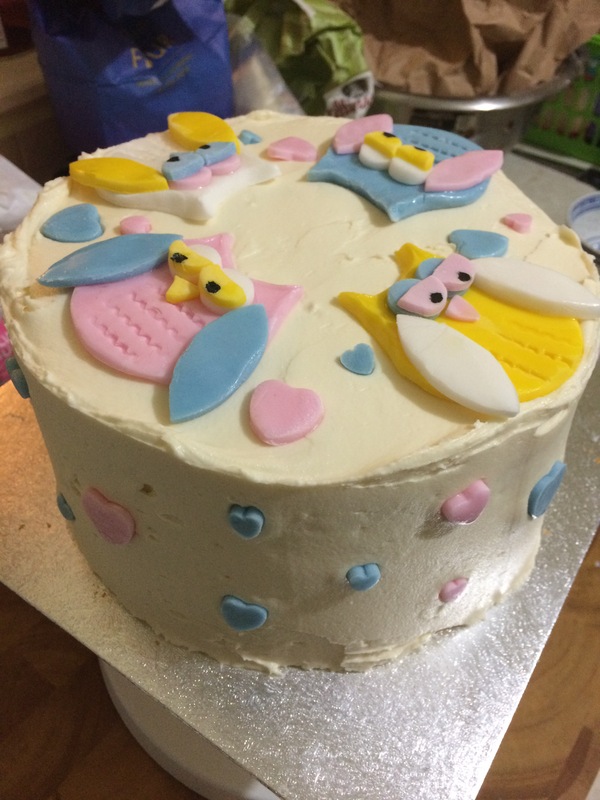 After doing the cutting and a little shaping, the ingenious use of a fondant embosser and artful food colouring dotting, my owls looked cuter than I thought it was possible! So here it is, my owl cake! It was, truly, a hoot to make!